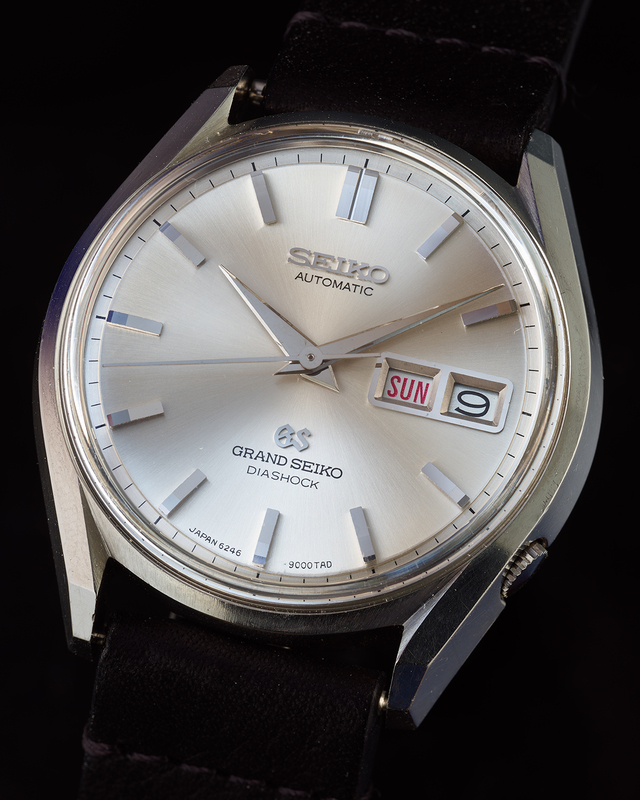 As the first automatic vintage Grand Seiko, and as a series that was in production for less than two years, the 62GS watches are extremely collectible. 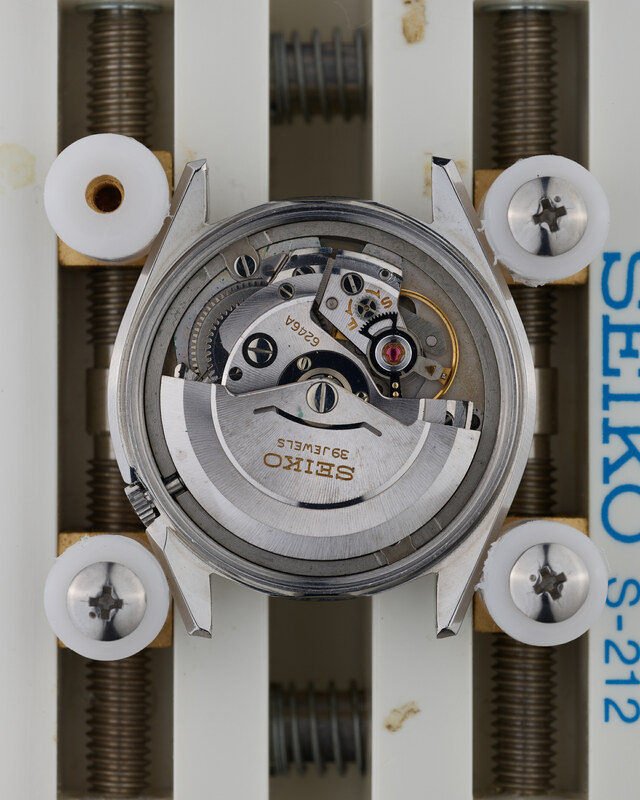 But it’s not just their relative rarity (compared to most other series in the vintage range) that makes them so desirable, it is also clearly the incredible design that went into every single element of the watch. 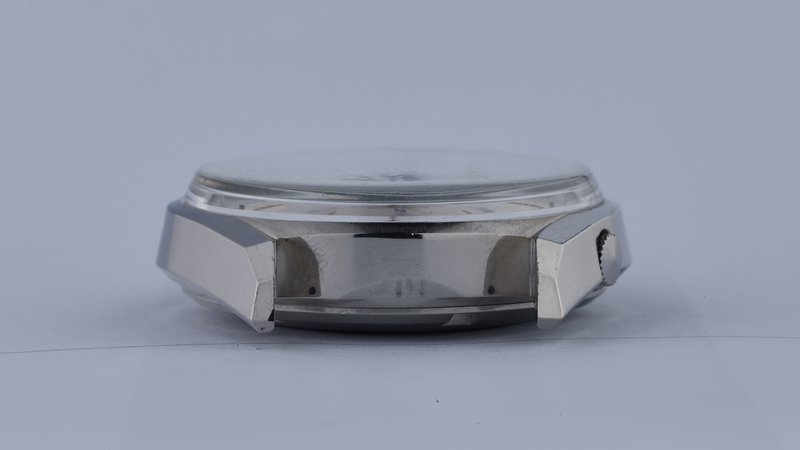 Whether it’s the wonderful bezel-less case design, with its sweeping uninterrupted surfaces that run from lug to lug; the razor sharp hands; the angled hour markers; or the stepped dial, everything about these watches just oozes quality. 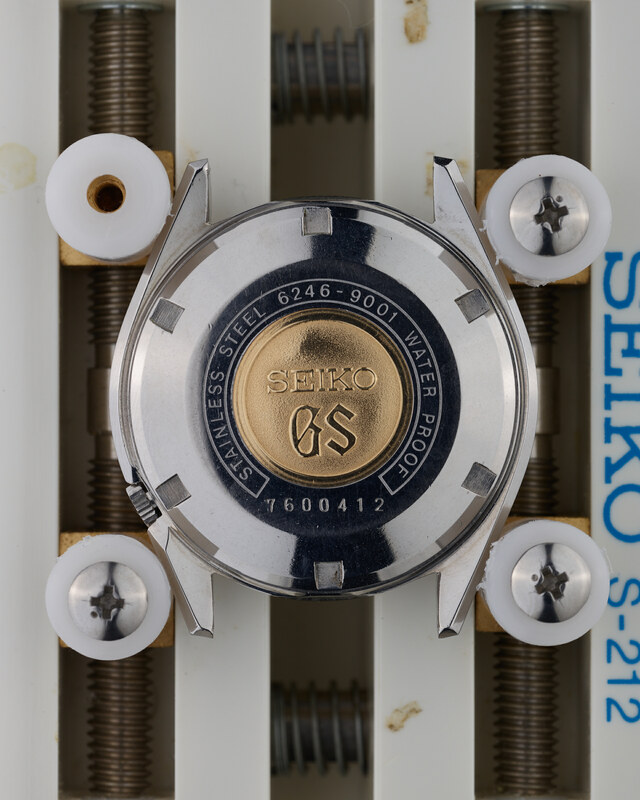 The particular 62GS example available in this listing is a 1967 production 6246-9001, with the later GS logo medallion taking the place of the lion medallion one finds on the 1966 pieces, and it is in what can only be described as spectacular condition. 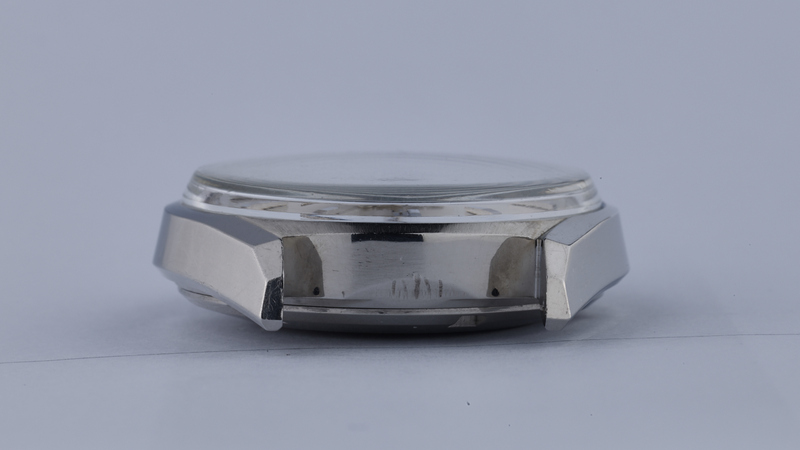 A close examination of the provided photos will show that the case has only very minor hairline scratches in places, the case back is almost flawless, with a close-to-mint gold medallion, and the dial is as flawless as they come. 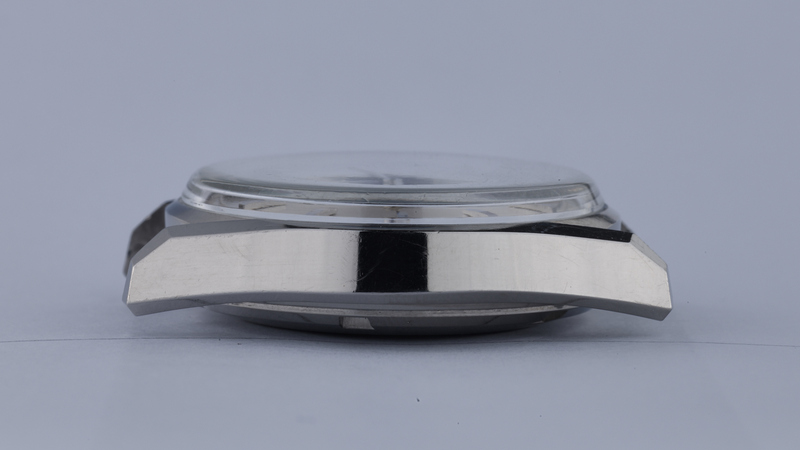 We should point out that what appears to be a mark on the dial near the 4 o’clock index is actually a spec of dust on the crystal that we failed to clean properly prior to taking the photo. 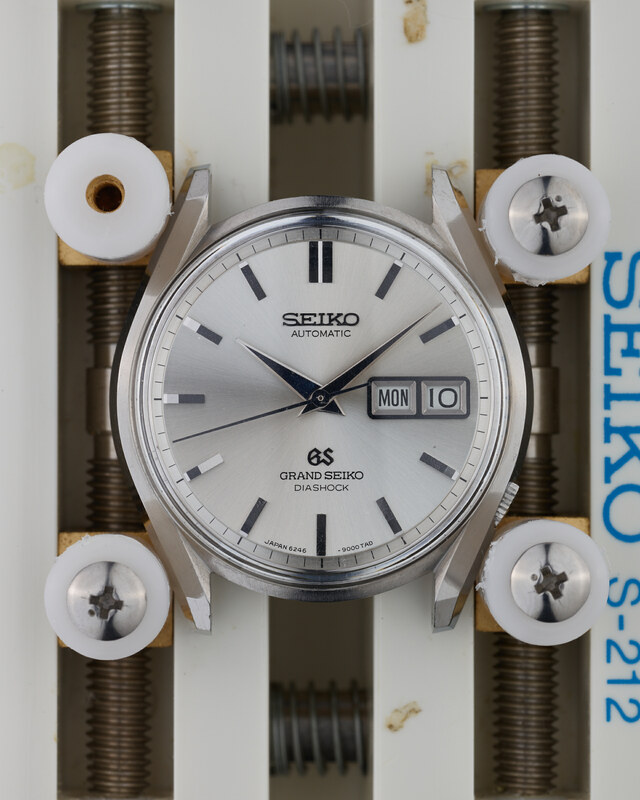 It is highly unlikely that you will come across a better example of a 6246-9001 than this one anytime soon. But it doesn’t end there. 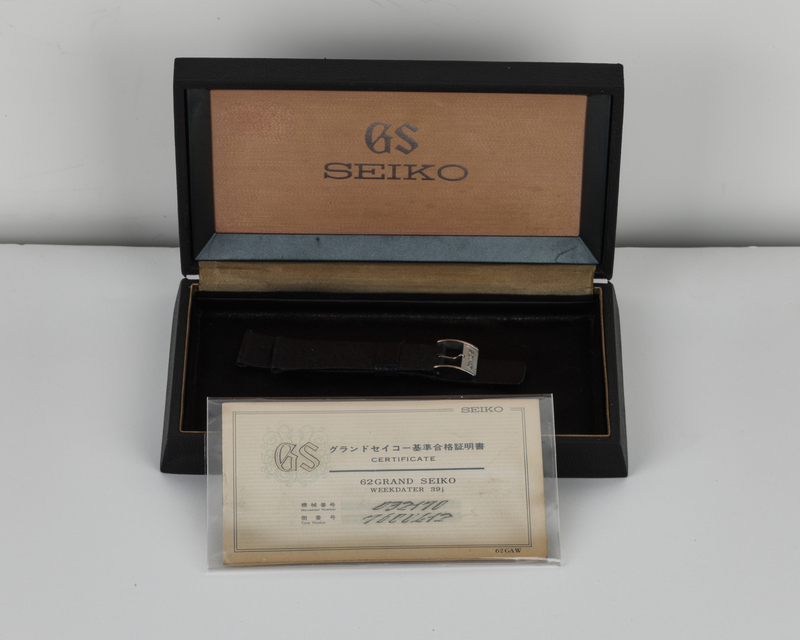 Incredibly, this watch is also accompanied by its original certificate, with both case and movement numbers of the watch matching those on the certificate, box and Seiko buckle (the buckle is mounted onto a generic aftermarket strap). 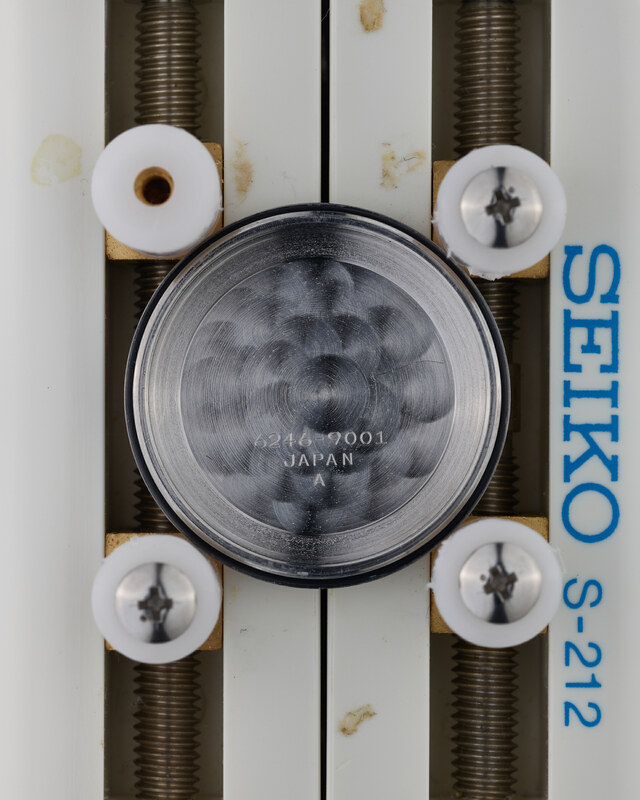 We’ve never seen another example of a 62GS with original papers. 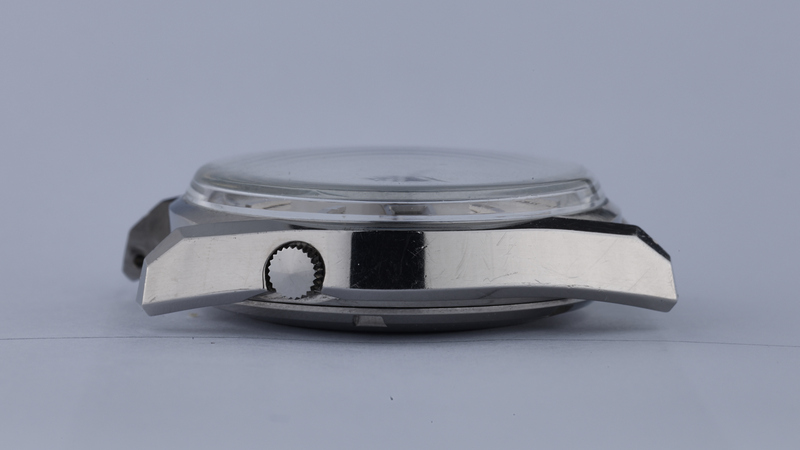 This watch was serviced in March 2018, comes with a 1 year guarantee (refer to the FAQ page for details), and is currently running at +15 seconds per day on a time grapher.